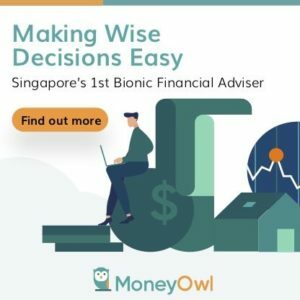 In a continuation to my piece on variable withdrawal decisions for financial independence, I discovered this video presentation by David Zolt, the financial planner who came up with the Target Percentage Adjustment (TPA). It gives us a better idea the extend of the performance of the TPA + 3. 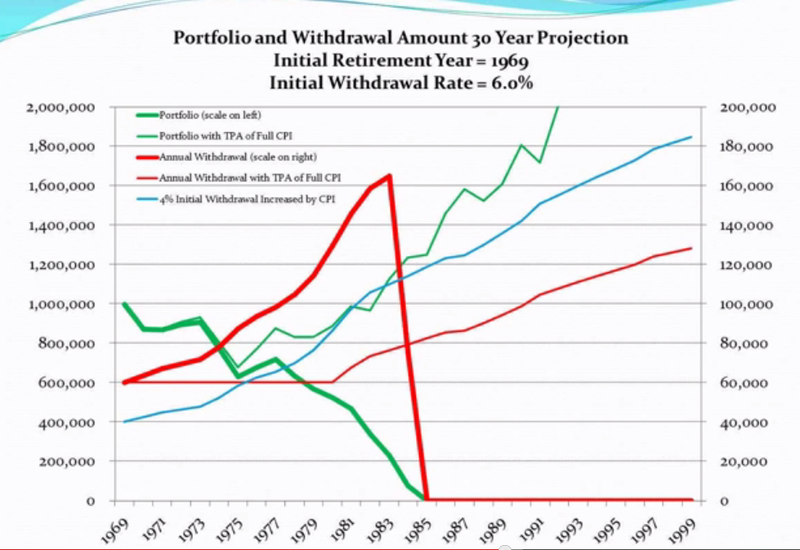 Zolt presented 2 case study, and the criteria of this 2 case study is that they are 2 30 year periods which for the first few years the stock market draw down would absolutely devastate your portfolio. The thickest red and green lines show that unrestricted withdrawal at 5.5% + CPI would run out in 20 years. In contrast if TPA + 3 is applied, a 5.5% withdrawal is possible and would last for this traumatic 30 year period. You would observe that the thin red line is below that of the thick one, the difference is the gap in purchasing power loss. 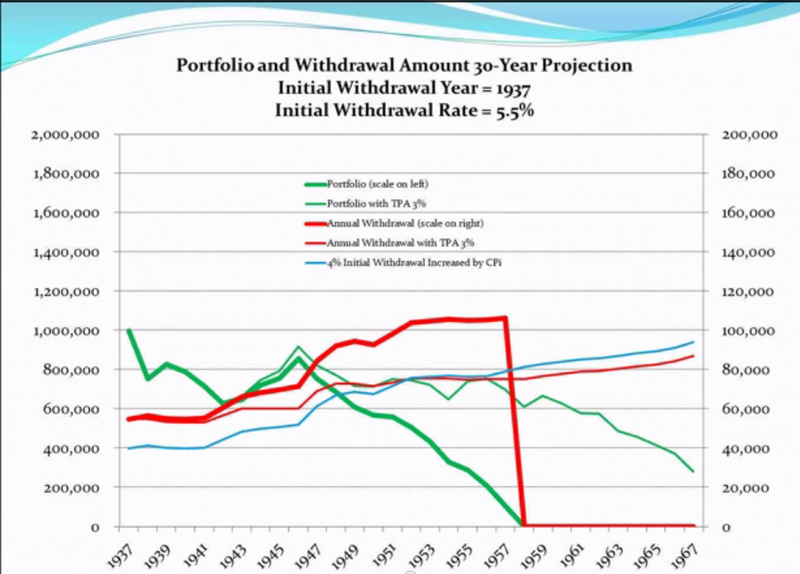 However, measured against the blue line, which shows the withdrawal rate at 4% instead of 5.5%, the loss in purchasing power is not distinguishable. The above chart shows a 30 year period that starts one year after 1937 in 1938. 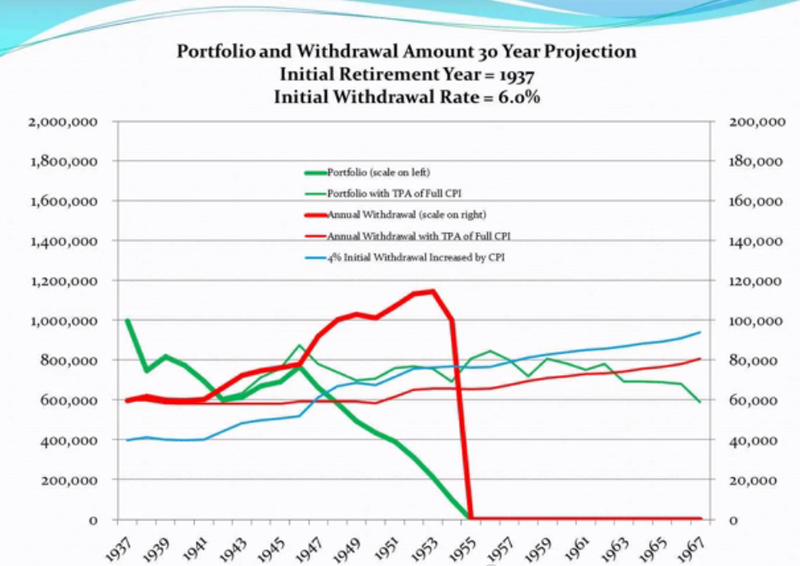 If a person decides to delay the retirement by 1 year and averted a draw down, the result is drastically different. 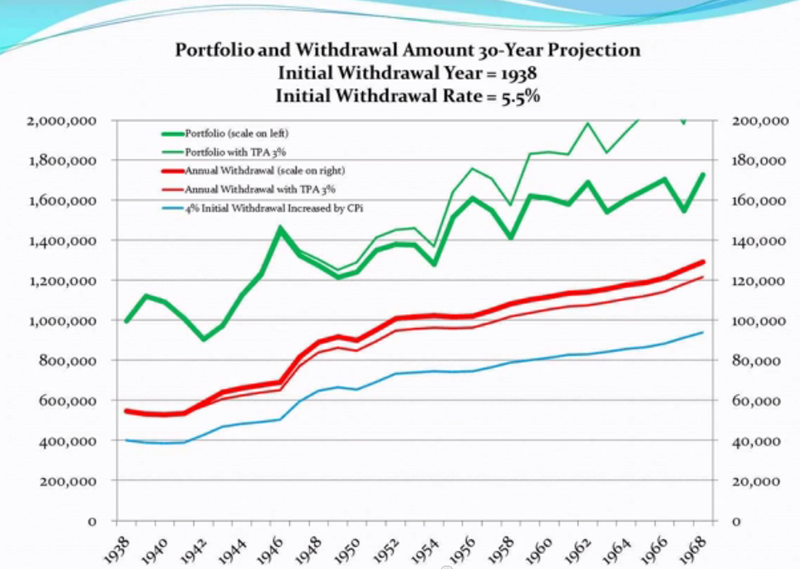 Even the typical fixed 5.5% withdrawal rate would last for the duration of 30 years. This should emphasis enough that preventing a big drawdown in your portfolio in the first few years of your portfolio is very important. It gets even worse when its a 100% stock portfolio. 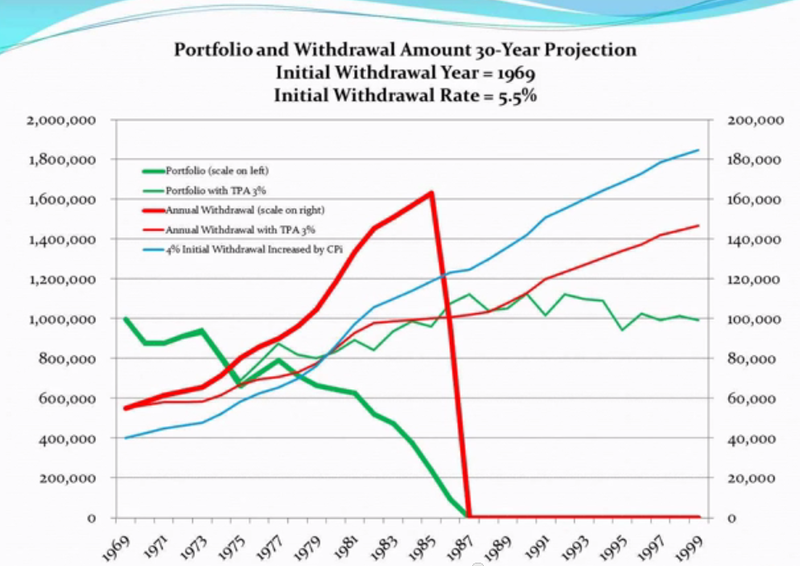 The above chart revisits the 1937 case study but jacks up the withdrawal rate to 6%. Looks good. The TPA 3% preserves the portfolio, but not the purchasing power, when it is a period of stagflation.